An ecosystem is a biological community of different organisms and their physical environment. Like the human body any ecosystem needs to maintain a careful balance. Too much of anything could harm it irreparably. In traditional agriculture monocultures are developed that skew the balance and cause pest and disease to take over. The pesticides kill the good with the bad and as the diseases become more virulent they use stronger pesticides. Studies have shown the effects of different waves of environmental damage from monocultures. This is an extreme example of how important maintaining balance is. There are complicated charts and whole books about what should be planted where. Each plant has its own preferences and needs which are provided by others. Taking the time to plan garden styles and placement all comedown to the details of plant placement. Taller plants can shelter shorter ones, space can be used more efficiently, pests can be repelled, and pollinators can be attracted. 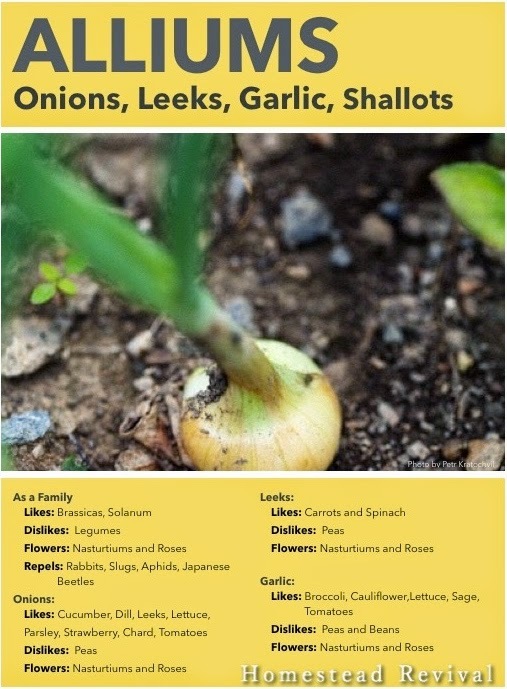 The Allium family is made up of onions, leeks, garlic, leeks, shallots, chives, and scallions. 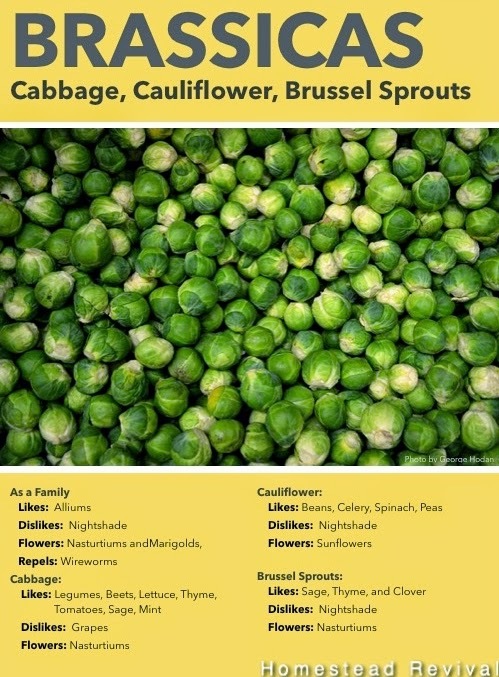 Brassicas include cabbage, Brussel sprouts, kohlrabi, and cauliflower. 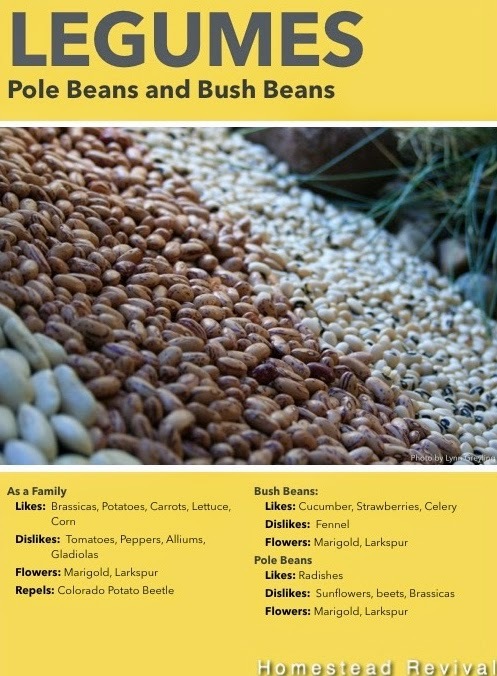 Some of the more well known Legumes are lentils, pole and green beans, and peanuts. Nightshades include tomatoes, potatoes, eggplant, and peppers. 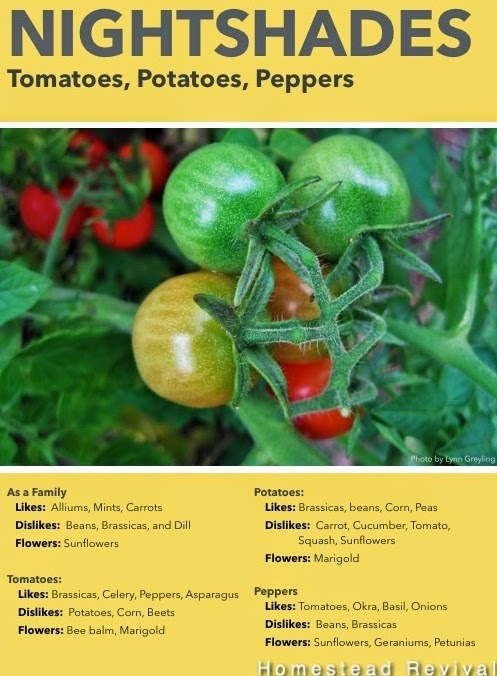 Each of these families are very large and include many more fruits and vegetables. 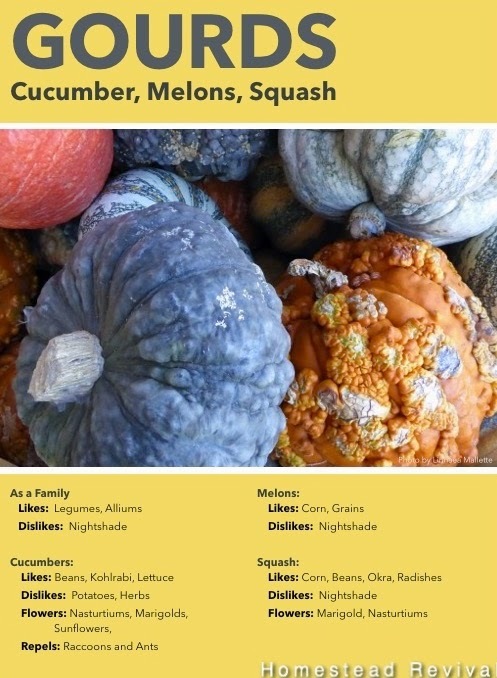 The Gourd family includes cucumber, melons, squash, and your handy dandy luffa sponge. There are always exceptions, but here is the general rule. Some of these are so repellent you can’t plant them in the same ground like Brassicas and Nightshades. Others, like Legumes, are more selective for example bush beans like Brassicas less than they like Nightshades. Carrots and beets are from different families, but both families are difficult to just plant by family. Carrots are from the Apiaceae family which also includes parsley and celery. Alliums like Carrots, but hate Parsley. The similarity is the division. Beta vulgaris, the family that contains chard and beets, like bush beans, but dislikes pole beans. 3. Radishes Drive Off Pests! Planting radishes near Gourds, Legumes, Brassicas, and Nightshades will drive off many types of beetles. It is best to let some radish go to seed to drive off the pests through the growing season. Many plants drive off pests and discourage other infestation. Potatoes drive off the Mexican Bean Beetle and Beans do the same for the Potato Beetle. 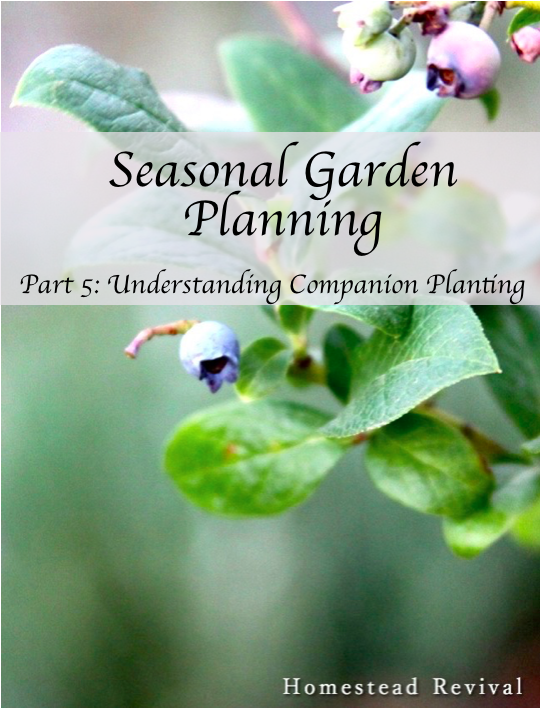 This is the end of our Early Garden Planning series, so we will be looking at future series and other posts after Christmas.